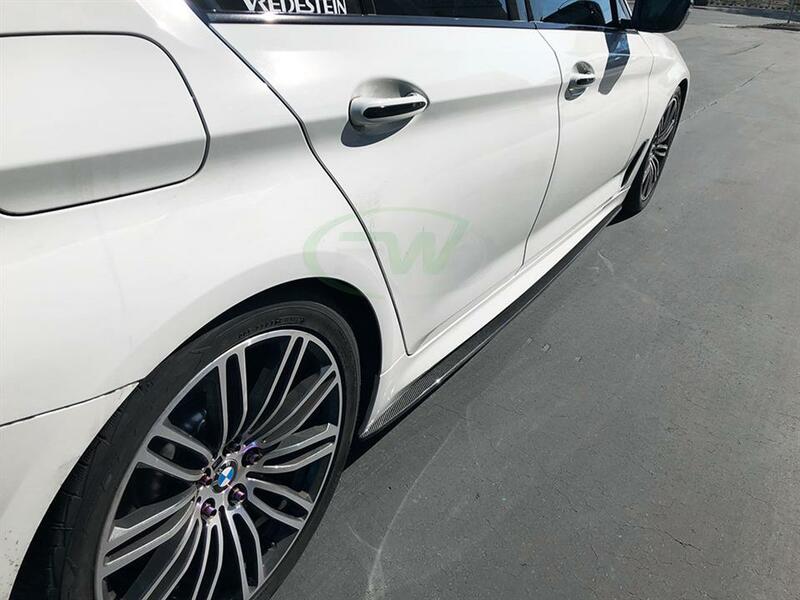 The newest carbon fiber addition RW has for your 2018+ BMW G30 5 series and F90 M5 are these carbon fiber side skirt extensions. Each order of BMW G30 or F90 carbon fiber side skirt extensions will come one 1 right and 1 left extension. 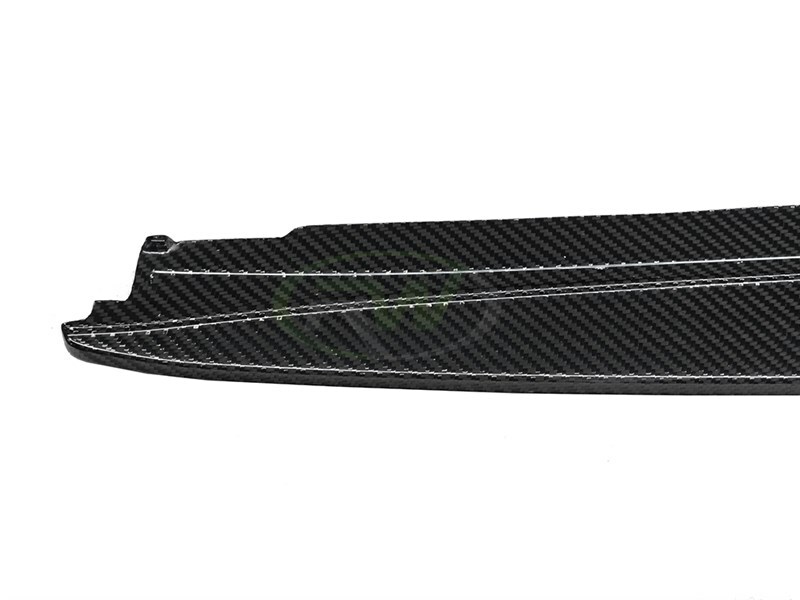 We hand craft all sets from genuine 2x2 carbon fiber and use only the best quality cf fabric, clearcoats and resin to produce an item that shines and does not degrade over time. 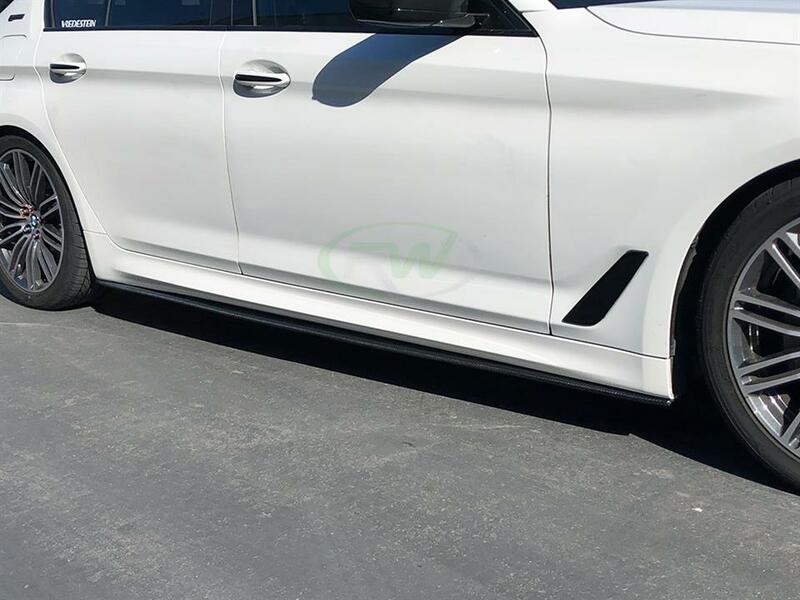 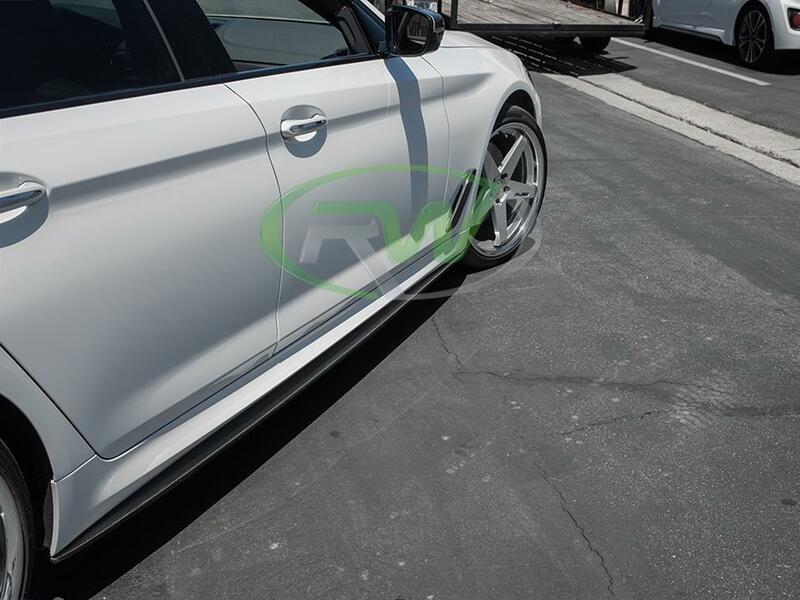 After construction each set of G30 and F90 carbon fiber side skirts is finished with a UV resistant clearcoat which protects the pieces from yellowing and delamination. 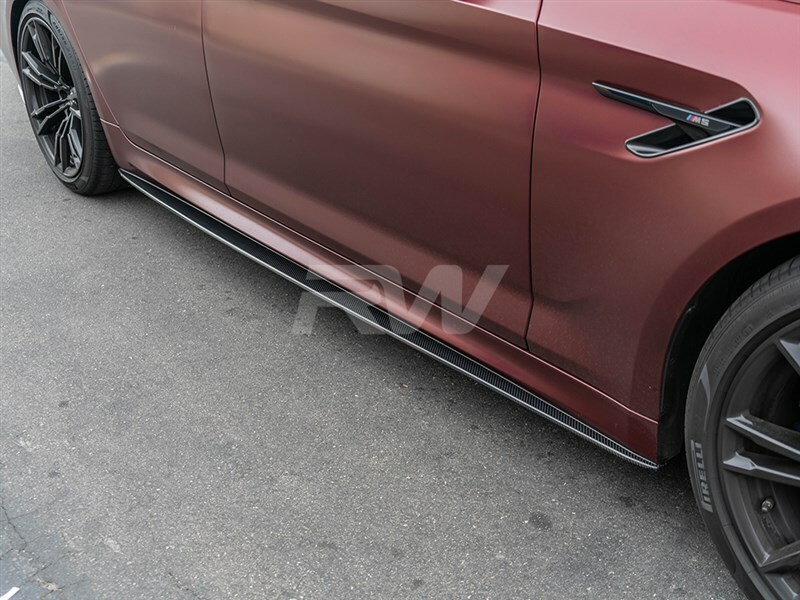 The 2x2 carbon fiber fabric used to craft these side skirts perfectly matches OEM CF parts as well as any other RW parts you have on the 5 series. 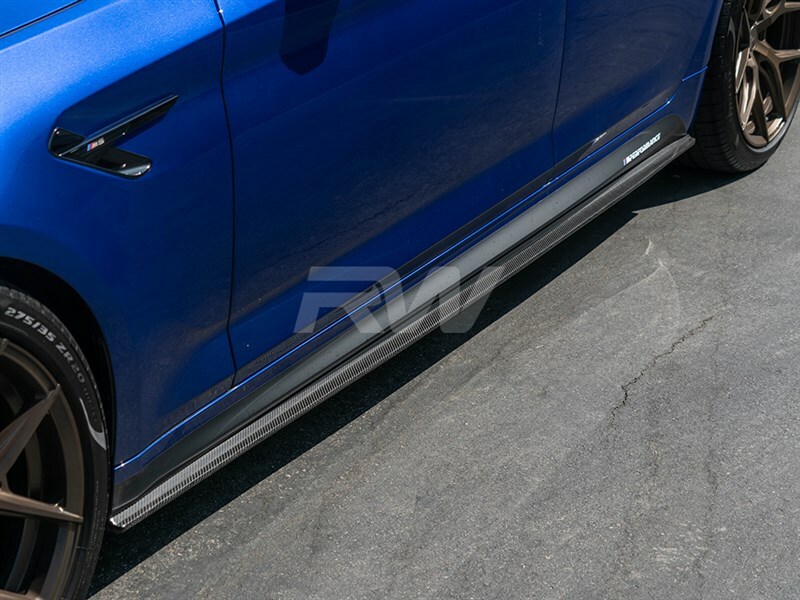 These G30 and F90 side skirts fit all 2018+ 5 Series M sport models including 530i, 530e, 540i, M550i and M5 (also fits other Euro models). 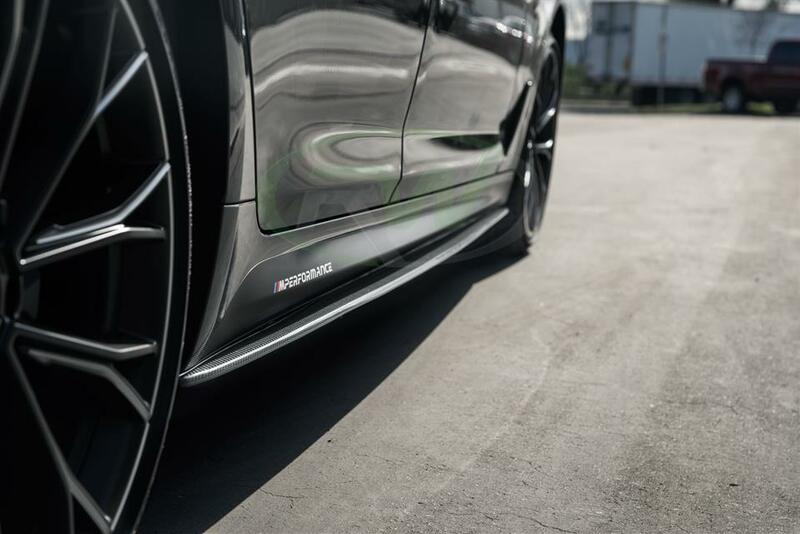 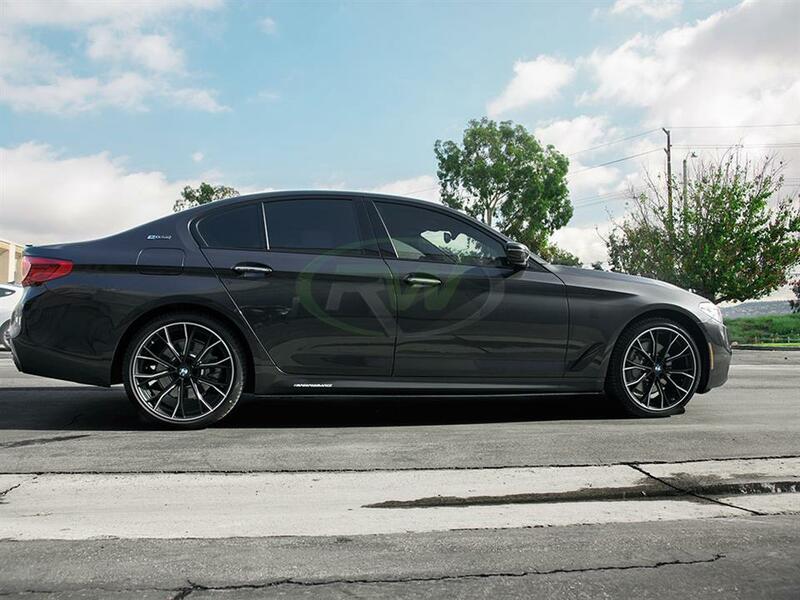 Upgrade the style of your 5 series with a set of RW Carbon G30 or F90 cf side skirt extensions. 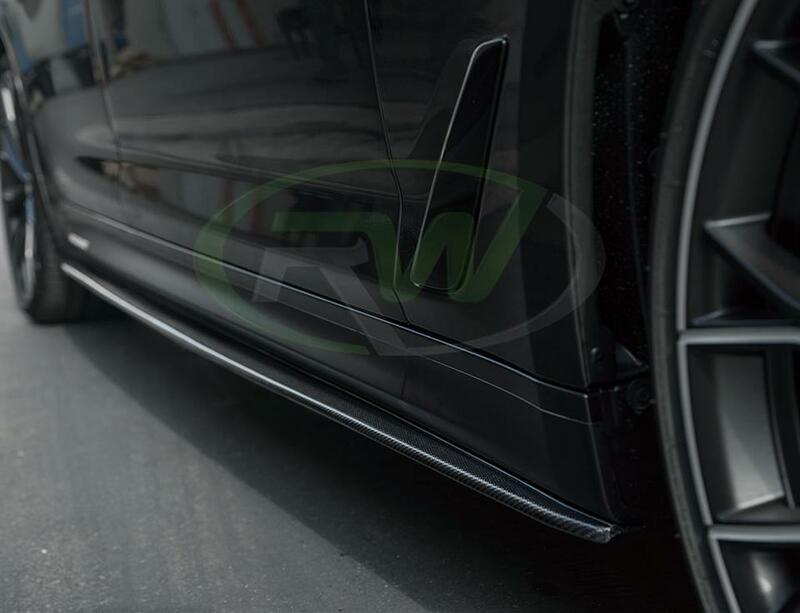 Professional installation is always recommended for RW Carbon's products including these side skirt extensions. 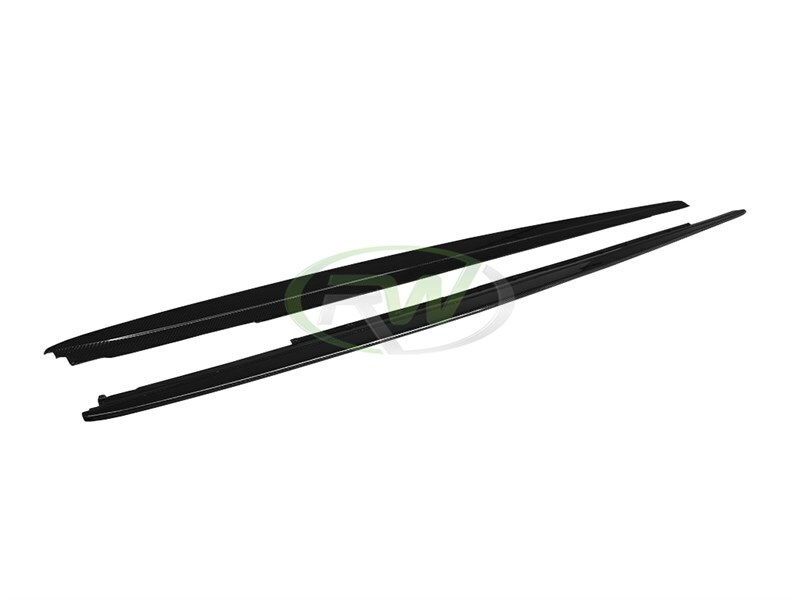 Installation requires 6-8 screws per each side which are included with purchase. 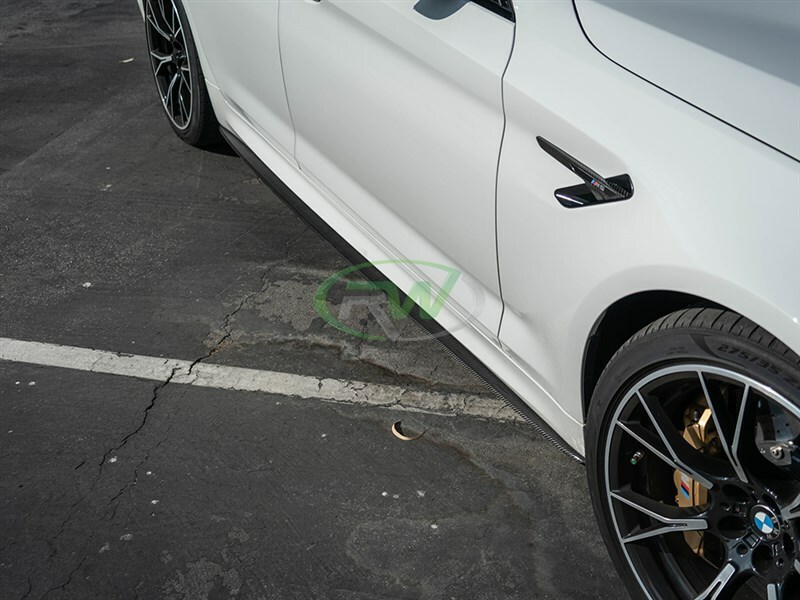 We are aware of the large amount of carbon fiber companies claiming they have the best carbon fiber parts for your BMW G30 and F90 M5. 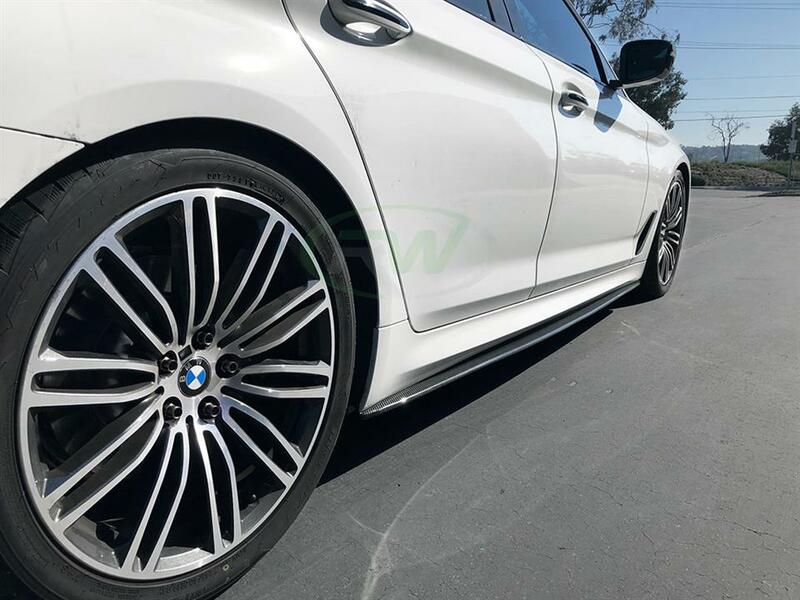 RW Carbon opperates different than these companies - We only sell carbon fiber which allows us to continue to produce the newest designs and invest in higher quality production methods which in turn means a better looking item on your 5 series or M5. 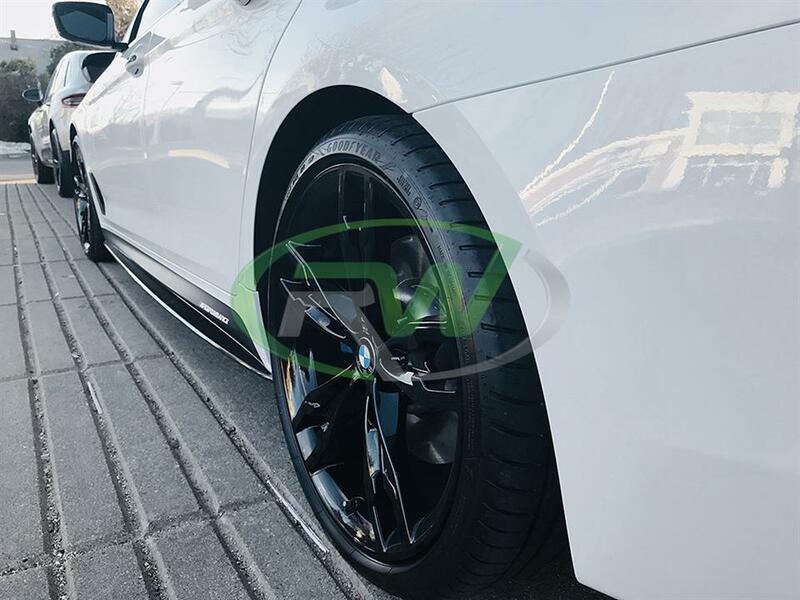 We contract with a small number of hand selected factories and instruct them to use the highest quality raw materials to make our items so you get an amazing piece. 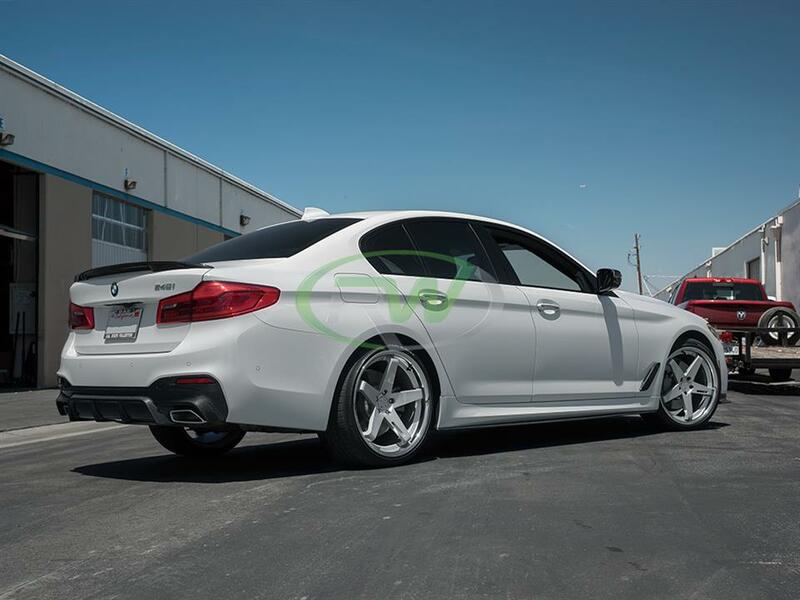 Additionally, all BMW G30 or F90 carbon fiber side skirts are pre inspected prior to shipping. 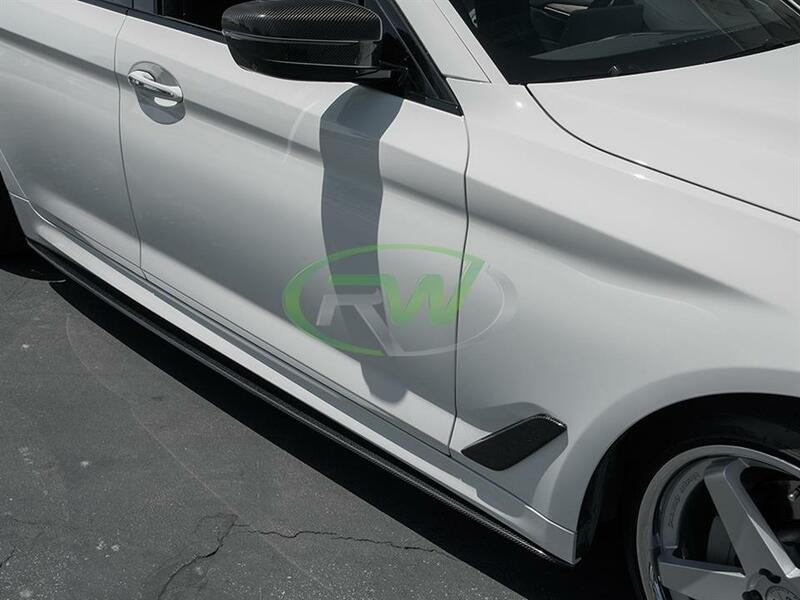 This ensures you receive an item that comes ready to install on your vehicle. 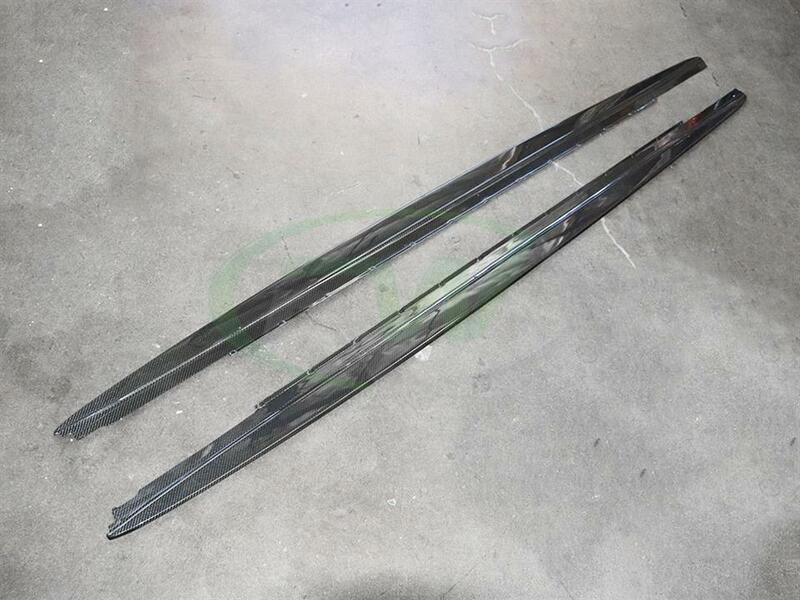 Other companies do not inspect their items, and ship direclty from overseas meaning it is nearly impossible to return a poor fitting or poorly constructed item. 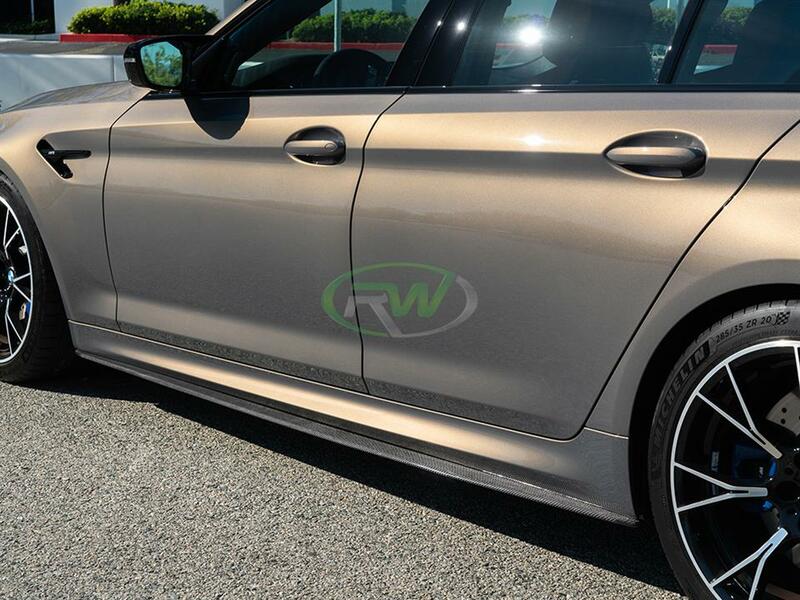 All shipments from RW Carbon ship from our Anaheim, CA warehouse.